You may be aware of John Harrison (1693 - 1776) as the genius horologist who after decades of work was awarded the British Admiralty’s Longitude Prize for his H4 clock. Harrison invented the precision marine chronometer and saved thousands of seaman's lives by enabling ships to navigate much more accurately. Less well known though was that Harrison also designed and made a few pendulum clocks that he claimed were much more precise than the best available at the time. He was on the record as stating that his pendulum clocks were accurate to a one second per month, compared to a second per week of his competitors. Unfortunately, Harrison died before making a pendulum clock with this then (and now) unparalleled level of precision so was unable to prove his critics wrong. And that's how things stayed until 1975, when British artist and clockmaker Martin Burgess was commissioned to make a sculptural clock for the Gurney banking family of Norwich, England. Burgess took this as an opportunity to investigate Harrison's legacy. He began making two clocks based on Harrison’s principles, using modern materials where appropriate. Burgess completed Clock A in 1987, and it is now on display at The Castle Mall in Norwich. Burgess never completed Clock B, and its components lay dormant in his workshop for over thirty years. Then in 2009, a collector bought the uncompleted Clock B and commissioned English clockmakers Charles Frodsham & Co. to complete the work. Harrison's design called for a grasshopper escapement and did not require any lubrication. The work took years, and when finally completed, after a few adjustments and regulation, the Clock B was found to be extremely stable, and capable of keeping a good rate. So good in fact that in 2015 Clock B was delivered to the Royal Observatory Greenwich where it underwent independent testing for 100 days after which it was out by just 0.625 of a second. This level of precision was not only completely unimaginable in Harrison's day; Clock B set a modern Guinness World Record for the "most accurate mechanical clock with a pendulum swinging in free air." More than 250 years after he designed the clock, John Harrison was not only vindicated but has proved to the world that he was truly a horological genius and that H4 was no fluke. In the 1950s, a micro-car was launched in Europe by the Italian firm Rivolta. It was called the Iso Isetta and was the original bubble car. The Isetta became the largest selling, single cylinder car in the world, a record it still holds today. In 2016, scientists on the research ship Okeanos Explorer were exploring the Mariana Trench in the Pacific Ocean, which is the deepest part of our planet. They saw what appears to be a new species of jellyfish glowing brightly as it gracefully moved through the water at the incredible depth of 3,700 metres. Luca Iaconi-Stewart is the world's best paper plane maker, even though he hasn't yet completed one plane and even that won't fly! 24-year-old Luca Iaconi-Stewart is a self-described aviation nut. In 2008 he was still in high school when Boeing launched their then-new 777 and was so impressed that he decided to make a 1/60-scale model using light card board cut from manila folders. He had no access to engineering plans so studied photos and a maintenance manual to make plans of his own. While not all cities are strongly associated with iconic art or architecture, those that are have powerful bonds: New York City and the Statue of Liberty; Paris and the Eiffel Tower, Rome and the Colosseum, Sydney and the Opera House . . . and Geneva and its Jet d'Eau (water jet). Robb Higgs is a British artist who believes that the more effort people put into relating to his interactive art, the more enjoyment his art provides. If his premise is true then the taste of the wine poured by his integrated corkscrew/wine pourer contraption must be absolutely sensational because its operation demands considerable effort. ''The Six Million Dollar Man" is an American TV series that ran from 1974 to 1978. Steve Austin, the fictional hero of the series, became the world's first bionic man after having an eye, arm and both legs replaced by bionics offering more power and functionality than his lost flesh and blood limbs and organs. But while computing power, sensors and technology have all evolved in leaps and bounds over the decades since the series aired, prosthetics − though they have certainly advanced − haven’t appeared to keep pace. We have self-driving cars, but most robot arms still cannot hold a glass of water . 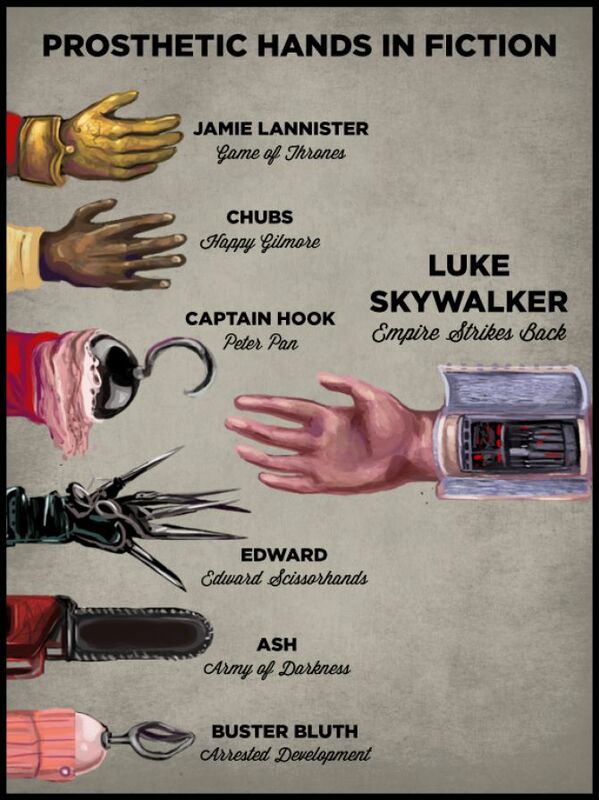 . . or couldn't until the Luke. 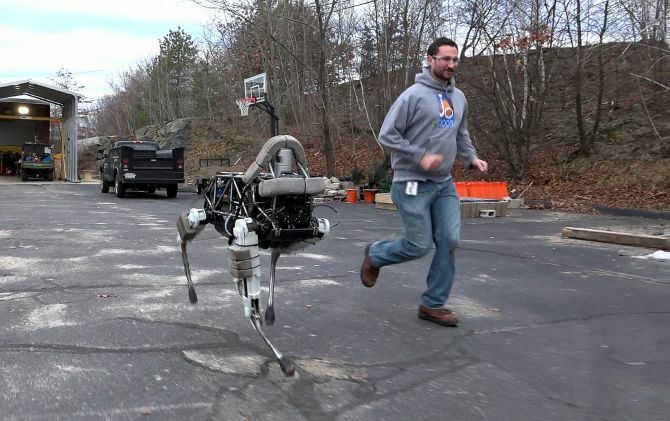 State of Robotics in 2016: Chasing postmen? Robots have been the stuff of science fiction for centuries and an integral part of many manufacturing industries for decades. Technology has advanced in leaps and bounds so why are we still all waiting for the perfect robot home help? We've all been here, haven't we? Well, hopefully a few of you at least will have shared the following scenario with me in childhood: you have folded the perfect paper plane, which in your imagination soars effortlessly across the room to gasps of admiration (and a tinge of jealousy) from the rest of the room. But, in reality, when you release your plane (with just a little too much force) it flies straight down to the floor with a paper- and soul-crushing thwack, followed by a quickly rising volume of laughter and sniggers. 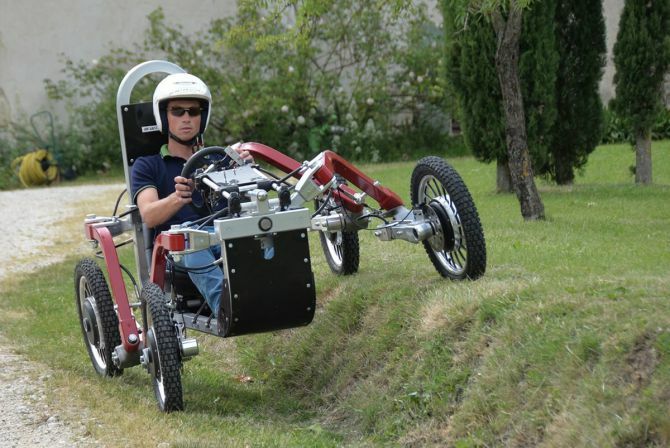 Swincar: A tilting 4-wheel-drive buggy with "spider sense"
Think about how we move in rough terrain for a movement: whether walking uphill, downhill, or across hills, we always try and stay vertical because that's how our bodies balance best. However, we do tend to learn over when going around corners quickly because that keeps apparent forces vertical to our bodies. French company Swincar has now developed an off road buggy that operates in the same way on rough terrain and at speed as our bodies do. 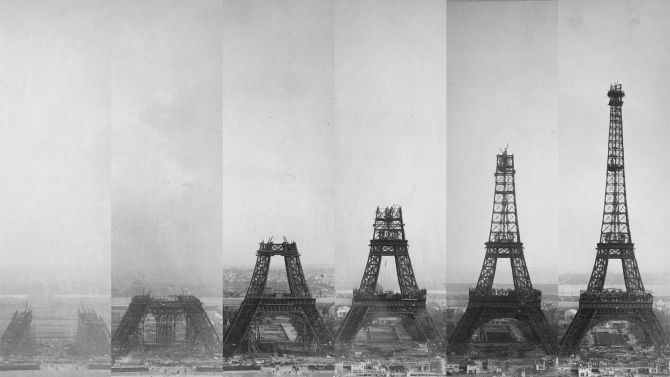 When the Eiffel Tower was erected for the 1889 World’s Fair in Paris, many outraged people averted their eyes from what they viewed as a hideous iron beast. But the construction that once turned away so many is now among the most recognisable monuments in the world. In Seville, Spain, the challenge of convincing the public was no different but the materials and engineering were: try building the largest wooden structure on earth atop ancient ruins while creating an inviting space for everyone to enjoy . . . in addition to rehabilitating a dilapidated part of town. This was the Metropol Parasol project. 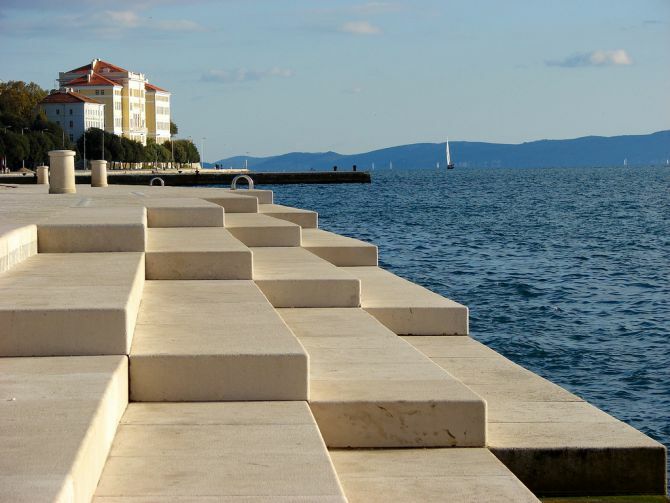 The Sea Organ of Zadar sounds like an otherworldly entity. And it looks otherworldly as well. It's an unusual instrument uniting the ocean with music, in a way that human ears can appreciate. For its era, it was a racing machine of a different ilk, even its name – The Beast of Turin – evokes images of a forceful, grumbling animal terrorising the streets. 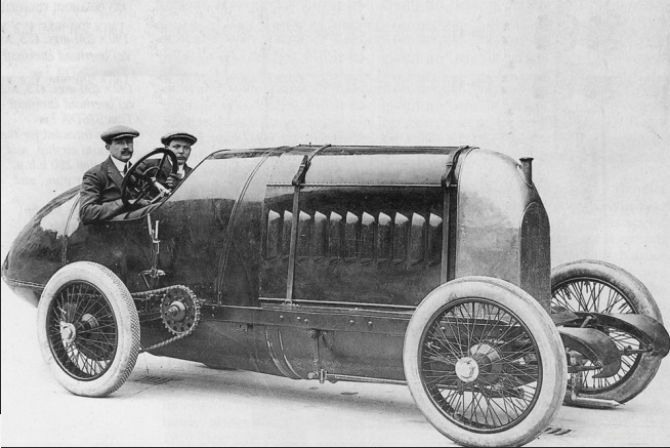 But just as soon as the rocket-shaped Fiat racer won the 1911 world speed record, it disappeared. And then wasn't seen or heard again from for another 100 years. That is until it fell into the hands of Duncan Pittaway.